Welcome to Sarah Hurst Skin & Beauty, passionately serving the needs of the skin conscious inhabitants of Brighton. We love creating a fun, relaxed and friendly environment that is welcoming to all our clients, regardless of gender, sexual orientation or age. 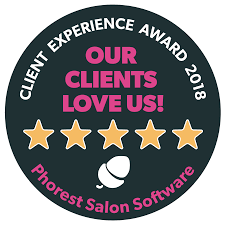 We are a passionate and highly experienced team committed to excellence and dedicated to making you look and feel like a million dollars! 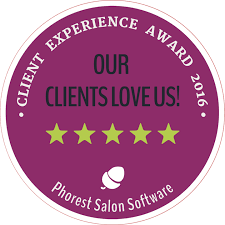 Make an appointment with us today and join our growing list of very happy clientele! Non of our products or treatments are tested on animals and if you are vegan and love waxing we even have a vegan option! We have now released the second edition of our really popular magazine. This showcases all our news and information about our new treatments. Happy reading. We are passionate about skin care at Sarah Hurst. Using Environ skincare and the CACI Ultra system we really can bespoke a facial to get the best results! A massage treatment isn't the same for everyone and we really personalise your treatment to ensure that you are getting the massage that you deserve. Want more than a facial, or have a certain skin condition that you would like treating? Then please take a look at our Advanced Aesthetic Skin Treatments. A real specialism of the salon. Choose from female waxing, male waxing, electrolysis, alkaline wash or threading to get your chosen results. Wanting to get that skin and body looking fantastic for the beach? Then look at our fantastic Caci bum lift treatment. Perfect for keeping that buttock area toned. Choose from the very best eye treatments available to get the results that you want. Eyelash extensions, eyebrow shaping, tinting, waxing or threading.